AFTER EIGHT YEARS OF “W” AND EIGHT YEARS OF “O”, WHAT COMES NEXT? Over the past few years, I’ve heard more than a few friends say that countries get the leaders they deserve. This aphorism has gained more poignancy during the second term of Barack Hussein Obama. Conservatives were already skeptical to begin with, but even liberals have grown disenchanted with the man who promised “change we can believe in” and “the audacity of hope”. While progressive Americans found some things to appreciate (like Obamacare and the triumph of the Gay lobby overcoming “Don’t Ask, Don’t Tell” in the military), the failure to bring the Iraq and Afghanistan wars promptly to a close as well as the inability to close Guantanamo and resolve the issue of terrorist detainees (who are now permanent residents of the United States) has left most champions for social justice realizing that the problem in America isn’t one that either party has the capacity to solve. In fact, what has been amazing is how most conservatives and liberals alike have joined together to challenge the astonishing intrusion into the private lives of ALL Americans. The NSA (National Security Agency which used to be known as “No Such Agency”) stampedes liberties and rampages out of control capturing data on every phone call and text message. Has any of this spying on Americans been slowed down? We have no way of knowing. Goodness knows, we can’t trust anyone in the government who might attempt to assure us that it has. The only thing more sure nowadays than government surveillance is misleading statements to fool the public into believing the government “has got our back”. In short, Americans don’t trust their government. That is why Donald Trump and Bernie Sanders have had such an amazing run during this political season. The “establishment” stinks. Republicans and democrats politicians alike are not to be believed. And Congress scores no better than our imperial president. In fact, Congress grows worse. Love him or hate him (and I am no fan), Obama does things. Even if he is still righting the wrongs of former administrations (from his far left point of view) like visiting Viet Nam, deploring our bombing of Hiroshima in front of the Japanese, or reestablishing diplomatic relations with communist Cuba, the American Congress on the other hand can’t accomplish much of anything. Most of us cheer when someone in frustration yells out, “Fire’em all!” IN fact, congressmen now appear to become roadblocks to getting our house back in order. When the People (with a capital “P”) have finally come to challenge the status quo, the establishment pushes back. Career politicians seek ways to nullify democratic processes–we saw this plainly in the primaries this year. The vote for Donald Trump was historically strong, setting records for getting the vote out. But Republican leaders fret over Trump’s presumptive nomination and continue, as this post is written, to connive ways to overturn the choice of the people. In a slightly different regard, but along the same lines, Hillary beat Bernie, but her victory rang hollow. State after State, chose Bernie over Hillary. If not for the “Super Delegates” added to the popular primary vote that was almost split 50/50 overall, Hillary might have lost. The Super Delegates – a bunch of old cronies that are rewarded for their political services with the boon dongle of going to the Party’s convention — amount to an unassailable means to disenfranchise new voters and keep the same of stuffed shirts in place. Do we elect the world greatest egotist with a penchant for making outlandish statements that his aides have to quickly walk back, or one of the most disingenuous and corrupt politicians ever to run for the office of the President? That is the choice we have before us. Ultimately, the decision has to be made. American voters must decide what it is that really matters to them when they vote. Is it the politician’s public image? Is it personal popularity based upon how they look, what they say and how they say it? Or is it for pledges for policies they plan to enact, and whether what they promise in the way of new policies they have the wherewithal to make happen? 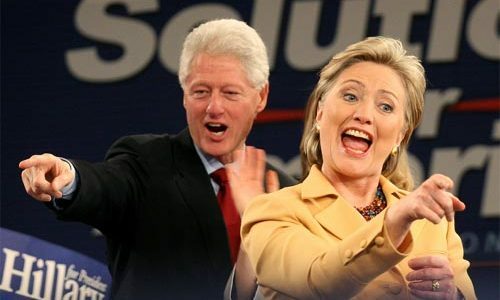 It is my supposition that looking at the Clintons, both Bill and Hillary, and their history in the White House from 1993 to 2001, might be very pertinent to making the best choice among the two candidates we will most likely have before us come November. It only took me a day or two, but I finished an informative book that I hope many will find the time to read. It tells the tale of what the White House was like when Hillary and Bill were there. The book has just come out. It’s entitled: Crisis in Character: A White House Secret Service Officer Discloses His Firsthand Experience with Bill, Hillary, and How They Operate. It might get a lot of attention. It should. Gary Byrne is one of those famous but nameless guys we don’t remember. We reckon that such a person played an important role at one time. We may even recall the circumstances just not the name of the character that was so vital to the story. Gary Byrne was the Secret Service officer who did his best to keep Monica Lewinsky from destroying Bill Clinton’s Presidency. He became a central witness in the impeachment of Bill Clinton. Monica Lewinsky is a name that we won’t ever forget although we should. Gary Byrne is a name we will never recollect while his name ought to be remembered. He served this nation in many capacities and deserves credit for his loyalty and bravery. His story, except for the remarkable situation he found himself in, should be told but otherwise wouldn’t be. However, because he happened to see Bill and Hillary firsthand during the “Lewinsky Affair”, his witness is one to which we do well to pay attention. Some goals are just impossible to accomplish. Try as he might, Bill just had too many mistresses to manage–either by him or his staff. Officer Gary Byrne tried to keep Monica away from Bill. He recognized Miss Lewinsky for what she wanted with the President. He blocked her entry. After numerous encounters between the two of them, Officer Byrne was able to work with another director at the White House to get Monica transferred to the Pentagon. Byrne thought he had solved the problem, but Lewinsky was irrepressible. 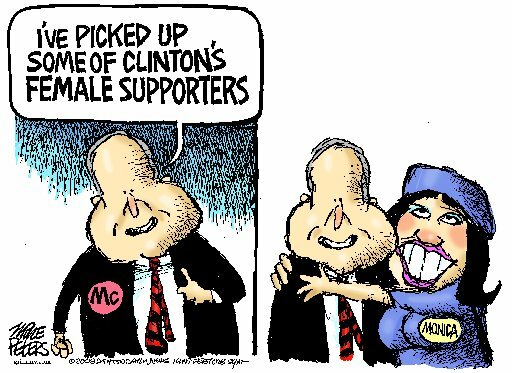 And Bill always had time for Monica. The affair was all the rage inside the White House. 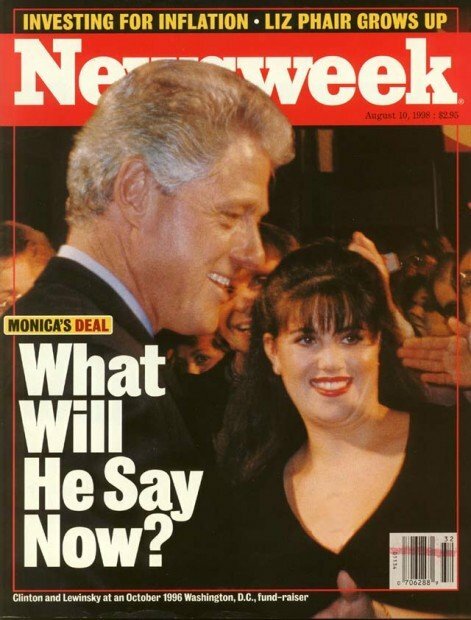 The permanent staffers were stressed and upset about Bill’s many affairs, not just with Lewinsky but with others that were involved in his frequent trysts. Bill couldn’t overcome his overwhelming drive to chase skirts. And virtually no one was willing to try to stop what was happening. Hillary wasn’t oblivious–she didn’t care what Bill did. It was clear she and Bill had an agreement. Clinton Inc., was their political association. Their sexual pursuits were something they managed separately. That was not part of their “deal”. But despite these impeachable offenses, the Senate did not have the gumption to find him guilty. Bill’s charm along with the Federal Government’s unwillingness to admit that its chief executive officer could really treat his office with such disrespect, led to a failure to convict. Bill would get away with his many indiscretions–despite the fact that that were monstrous and became destructive to those who worked for him in the White House. He was such a good guy–so charming–so friendly and eager to spend time with visitors. How could he do the country such a grand misdeed to harm the Office of the President and weaken the Federal government by his selfish philandering? He could and he did. One particular story stands out from Byrne’s “inside baseball” information that characterized the amateur as well as arrogant nature of those surrounding the President. And it points out that if the President isn’t doing his job, listening to the right people, and paying attention to the Nation’s business, people get killed on his watch. 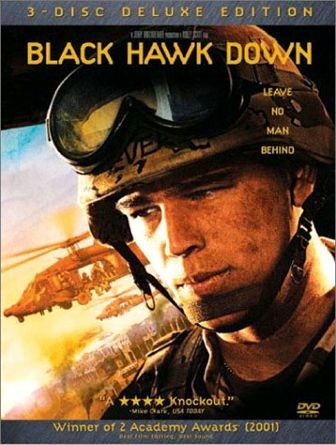 The matter was the incident we have come to know as Black Hawk Down. And of course, it wasn’t so simple. On October 3, 1993, 160 Americans engaged with thousands of Somalis in Mogadishu. 18 Americans would die, 73 would be wounded, and no less than 1,000 somalis would be killed. Byrne recalls what happened later, at a ceremony to celebrate the bravery of those soldiers and award medals, two of them posthumously. What is most relevant and indeed key to the timing of the book’s release, is that Byrne talks about Hillary and her normal modus operandi–screaming at the staff. Byrne stresses that her candidacy for President is really why he could no longer hold his peace. Officer Byrne wants to make real sure we understand the nature of this candidate and what her Presidency would mean to the country. Americans want to believe that their government tells the truth. They want to believe that politicians really do care about us, the voters. The story of Bill and Hillary as told by Gary Byrne is NOT the most incriminating story that can be told. No doubt the truth behind the influence peddled through the Clinton Foundation to foreign governments is THE story that deserves to be told. But the details of that one may be lost on the public. It might get to be too technical and we, the public, might just assume that this is what all politicians do. They use their political office to get rich–regardless of the legality or whether it’s what’s best for the nation. The media remains enchanted with Hillary and Bill. And the political machinery (from both parties mind you) continues to support them without so much as a hiccup. Even the Congressional report released just this week on what really happened at Benghazi including Hillary’s role there, contributing to the deaths of four Americans, was downplayed by the mainline media. “No story here” despite what congressmen and women stated when interviewed. The White House and the State Department were at fault. The Pentagon stood down because of the political direction (or lack thereof) they received. But the story that Byrne tells is consistent with many other accounts of the former First Couple. And his story seems tame compared to most accounts about what happened in Mena, Arkansas long before the Clintons became residents of 1600 Pennsylvania Avenue. 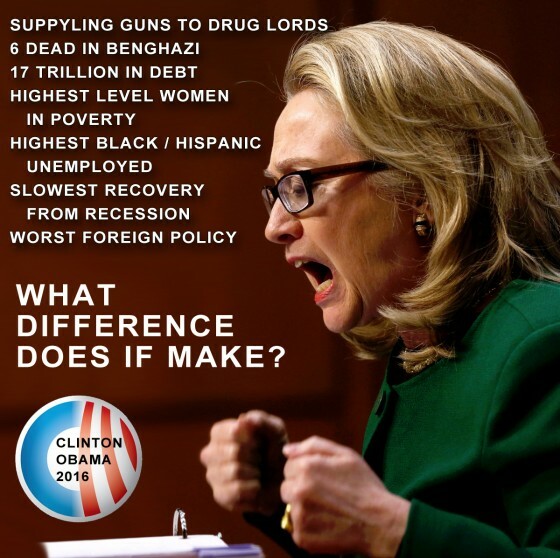 Is it enough to make most Americans more than weary of letting Hillary Clinton get anywhere near the Oval Office again? Will Americans care? When Hillary debates Trump, will his unpolished rhetoric be any match to hers? 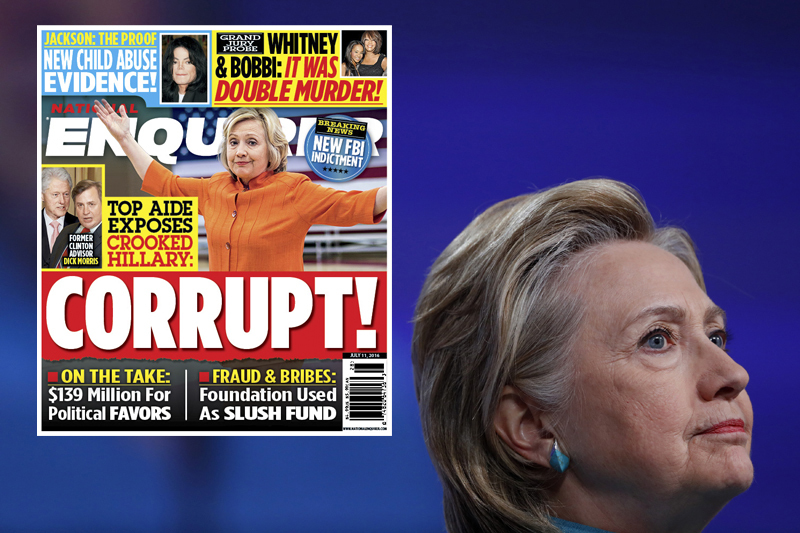 Will his claims regarding her corruption fall on deaf ears? Will his statements which so often sound fascist if not downright ignorant condemn us to another Clinton Administration? Or is there a chance that the FBI will bring their investigation to the Attorney General and the AG will elect to indict her? (Just today, July 1, the AG, Loretta Lynch said she would go with the FBI recommendation). Given the way things work in Washington these days, my personal opinion is that an indictment that would take Hillary out of the race for President has about the same chance as a snowball living a long life in Hades. Americans want to believe their politicians care–and in this regard Hillary couldn’t do a better job keeping up appearances. Perhaps my somewhat cynical friends are right: We do get the leaders we deserve. IF YOU LIKE HOW I WRITE AND WHAT I HAVE TO SAY, PLEASE SUPPORT MY MINISTRY BY PURCHASING A BOOK OR TWO, OR HIT THE DONATE BUTTON. MY AUTHOR PAGE IS LOCATED ON AMAZON. CLICK HERE TO VISIT. It contains a number of essays about American political issues and how the Church should respond in these last days before the return of Jesus Christ. It’s time for the Church to awaken to the realities of geopolitics and America’s place in the end times. I read this book twice. I believe it is important for people who want to know the truth below the very cracked facade of our beloved country. Doug Woodward presents the pertinent history that led up to where we are today, shows us the dangerous parallels to another time, and how we are repeating history. He shows us many layers under the surface, and fI ills in a lot of blanks in our awareness of what is happening. He anchors it all with encouragement from scripture, and the wonderful God that can bring us safely Home though it. I recommend reading it. Douglas Woodward’s writings are cutting edge and quite thought provoking. As we prepare for the greatest changes the world has ever seen, the more knowlege you have the better. Knowledge by itself is not enough, you have to discern and acquire wisdom from the knowlege you absorb. This book gives you tools to expand your wisdom. This is an excellent book. I highly recommend it. We must acknowledge that the permanent staff, like Byrne, are to be distinguished from those who came with the Clinton’s from Arkansa–political cronies and sycophants who showed little respect for the tradition of the Presidency and reverence for the White House. Byrne, Gary J. (2016-06-28). Crisis of Character: A White House Secret Service Officer Discloses His Firsthand Experience with Hillary, Bill, and How They Operate (p. xii). Center Street. Kindle Edition. Previous PostDID THE REVIVED ROMAN EMPIRE JUST DIE YESTERDAY?Next PostWILL THE ELITES RESOLVE THE PROBLEMS OF THE WHITE MIDDLE CLASS?